In today's world, flexibility equals strength, and the same can be said of architecture. Studio Zack De Vito designed and built Tamalpais Residence, a private terraced home in California, to be as efficient and flexible as possible - with each room easily adapted to the owner's evolving needs. 441 Tamalpais sits at the end of a road in a serene hillside location close to hiking trails and nature. The family home enjoys an abundance of natural light thanks to large glazed sliding doors that minimize the need for artificial lighting, and the open-plan layout provides flexibility as the family matures. Every room of the terraced home has a strong connection to the surroundings and features a shaded deck made from recycled bamboo flooring. The home is equipped with a 10Kw solar photovoltaic system, which provides energy for a hyper-efficient mini-split heat pump heating and air conditioning, as well as an automatic Heat Recovery Ventilation System (HRV) that operates around the clock. The home was designed to be virtually maintenance free with long-lasting materials that also age beautifully, including the rusty corten steel facade. 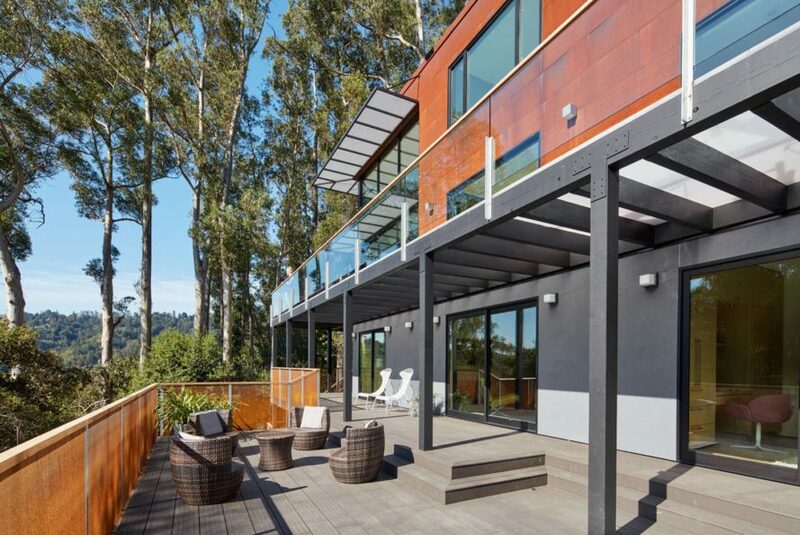 441 Tamalpais has a corten steel facade that ages beautifully. Each level has a bamboo flooring terrace. The rooms are bright, airy and open plan. Each level maintains close contact with nature. The open plan design provides flexibility as the family matures and needs change. The private residence sits in a serene area at the end of a street.